Sebastian Vettel believes the hype surrounding Ferrari protege Charles Leclerc is “absolutely justified” and says he is open to having the F1 rookie as his future teammate. Sebastian Vettel believes the hype surrounding Ferrari protege Charles Leclerc is “absolutely justified” and says he would be open to having the Formula 1 rookie as his future Scuderia teammate. Leclerc, a member of Ferrari’s young driver academy, stepped up to F1 this season with Sauber following back-to-back championship titles in GP3 and Formula 2 in the past two years. 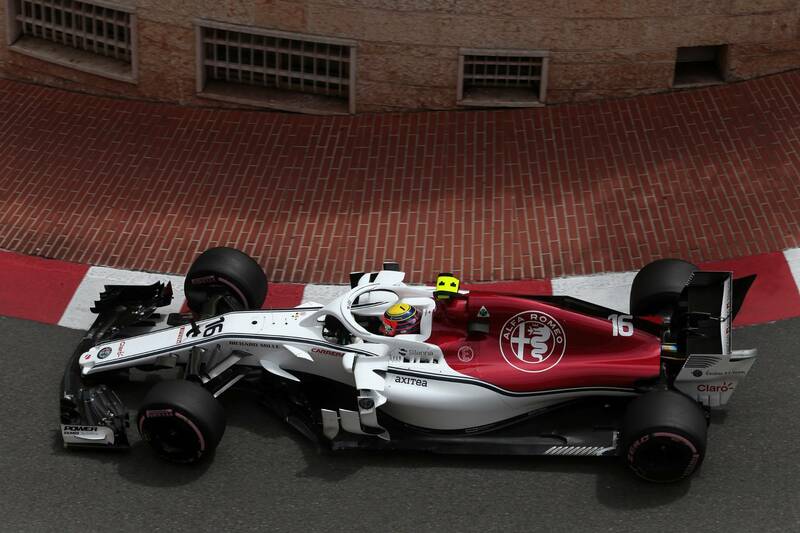 The Monegasgue driver endured a tricky start to his maiden F1 campaign but recorded Sauber’s first consecutive points finishes since 2015 having followed up a brilliant drive to sixth place in Baku with another top 10 appearance in Spain last time out. “I think I was never that hyped when I came in, I didn’t win GP2 and I think the hype is absolutely justified,” Vettel said in the build up to this weekend’s Monaco Grand Prix when asked for his opinion on Leclerc. “If there’s no hype around him then I don’t understand who should be hyped because If you’ve walked through all of the categories like that then you belong here. I think the advice to him is not to listen, just get on with it and enjoy it. Vettel added he sees no reason to suggest Leclerc will not step up to a Ferrari seat in the future. Reigning world champion Lewis Hamilton said he has been following Leclerc’s progress closely over the past few years and believes the 20-year-old has the potential to do “great things” in F1. “I’ve watched the series and I’ve been watching him coming through and what he’s done in the last couple of years has been great to see,” Hamilton said. “I sit with the team bosses and engineers and we watch the lower categories and are always looking out for that shining talent to come through. “Ultimately Formula 1 is supposed to be the pinnacle of the sport, which it is, but it is supposed to have the best drivers from around the world. In all honesty you couldn’t say 100 percent that there are the best drivers from all the nations from around the world so it is really great to see a talented kid come though, who has earned his way.